If you are stopping over from AllParenting, Welcome! Always a pleasure to have visitors here at Project Alicia. Have a look around and make yourself at home. You can learn more of what I'm all about here or here. I also have a photography and project gallery you may enjoy. 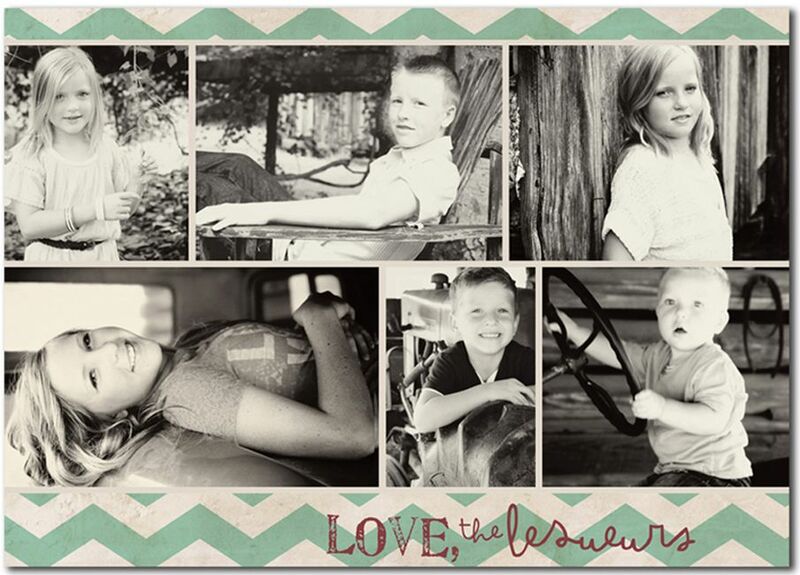 Over the summer I had the opportunity to photograph my adorable nieces and nephews visitng from Arizona. You can see more of that shoot here. My sister asked if I'd put together her card this year, so I decided to do a couple different versions and make them available to everyone. Having just had PRK Laser Eye Surgery, I'm learning to multi-task. Luckily I finished most of the design work beforehand because things are still super fuzzy, especially on the computer. 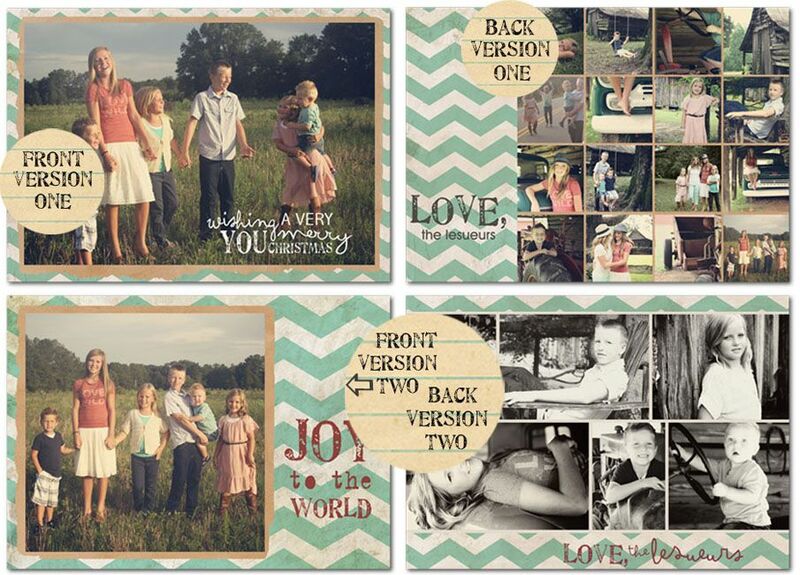 The set includes four 5x7 templates, 2 front and 2 back versions. It is compatible in Photoshop, Photoshop Elements or Gimp. Add your own photos and modify text to make your own custom cards in a pinch. Mix and match or just opt for a front. I'm leaving the options wide open. If you are new to clipping masks, you can visit this post for a brief tutorial. (Skip down to Step 5.) And if you would like me to plug in your pics I'm happy to do it for a $6 charge. Just email me at callmelish(at)gmail(dot)com. I hope you enjoy these templates! Consider it my gift to you! 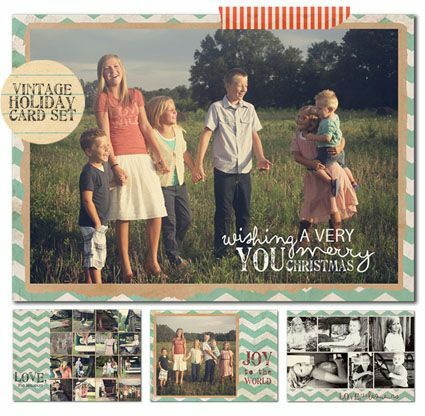 And if you like these you may want to check out some of my other freebies! Thanks so much for stopping by! I hope that you'll stop back again soon! these cards are adorable! So glad I found you today. 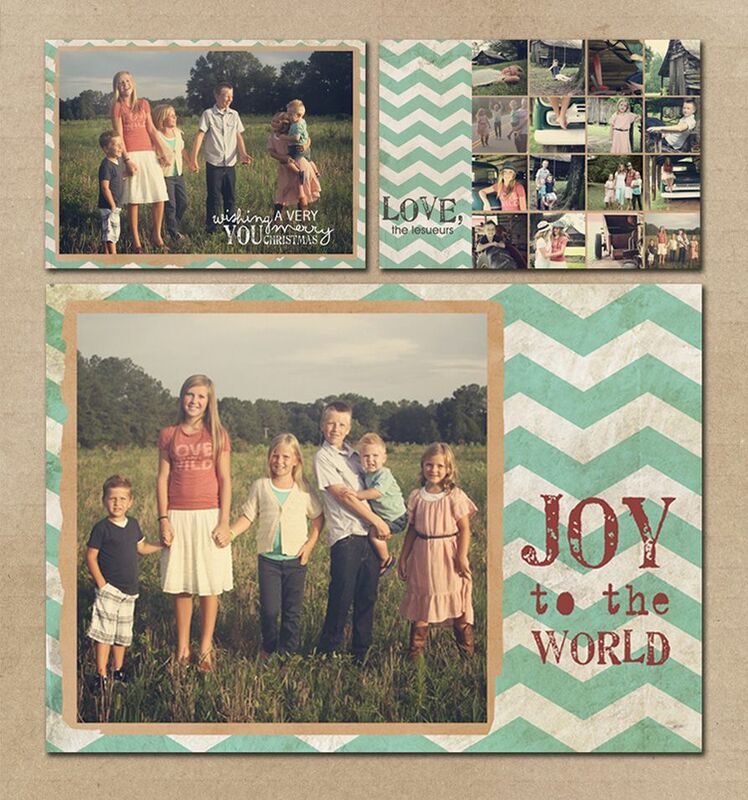 Thanks for the Christmas card printable. I'm hoping to tackle this!